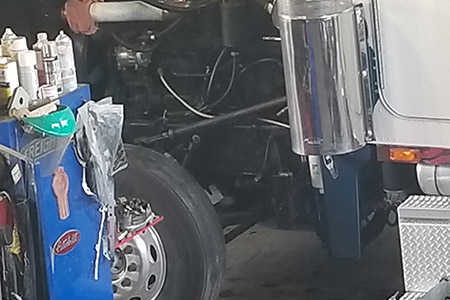 Contact us today to learn more about our services that will get you back on the road affordably and keep your truck and trailer in top condition. Because of our background as a trucking company, we understand that a reliable diesel mechanic is only part of the equation. It is also important for that professional to offer affordable options, so you can operate in a profitable manner. 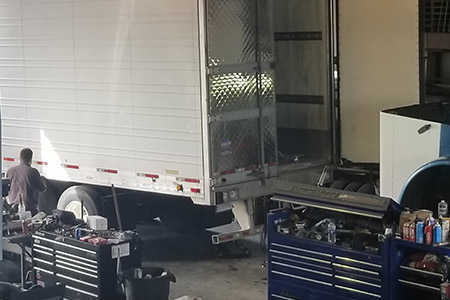 While other truck and trailer repair companies in the Mocksville, North Carolina area will press you into utilizing only new and OEM parts, we are happy to attempt to locate used parts if affordability is your objective. We take care of everything from DOT inspections to engine and transmission repairs. 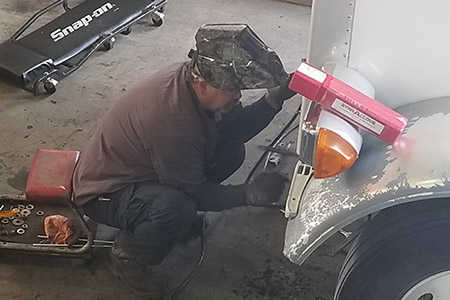 Our trailer services include alignments, tires, brake repair, lighting and wiring, floor and door repair, and much more. Our engine repair services can improve engine performance or resolve a problem. A reliable and affordable diesel mechanic is your best friend for staying on and getting back on the road quickly. We are also happy to explain the situation, letting you know what is going on so you can decide if you want to make the repair yourself. The reality is that in most cases, you can be back on the road more quickly if we do the work, and that is usually more important than saving a few dollars on labor. Speaking of labor costs, you’ll find our shop and after-hour rates to be reasonable and competitive, as well as our mileage rates for 24-hour road service. Our road service abilities are limited due to the availability of mechanics at our small shop, but we will make every effort we can to serve you when needed. 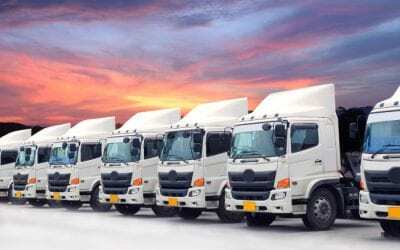 Our professionals help you keep your truck running with honesty and openness. We’re the quality diesel mechanic you’ve been looking for. 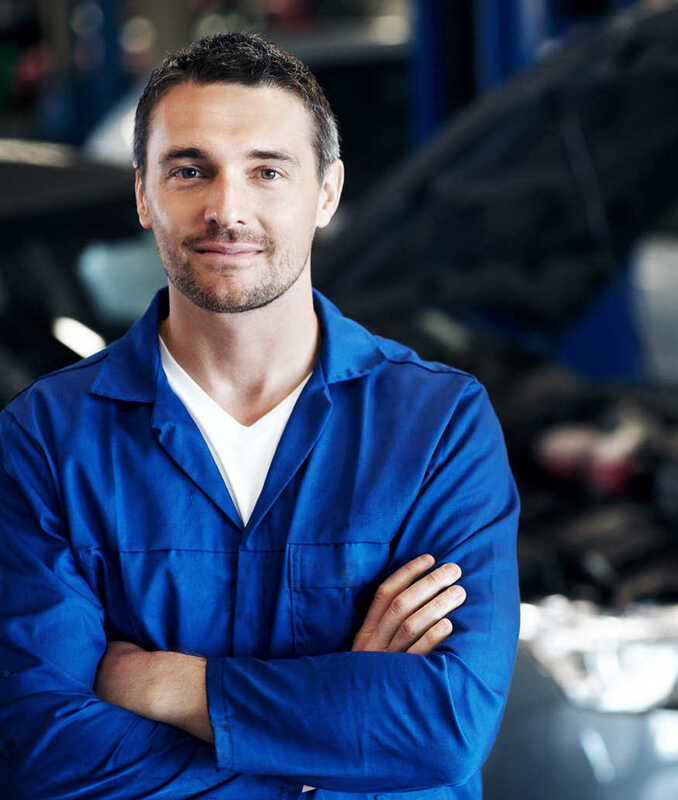 We have over 25 years of experience with diesel mechanics, including troubleshooting, repairs, and diagnostics. Because of our background running a trucking company, we understand the importance of a good diesel mechanic. 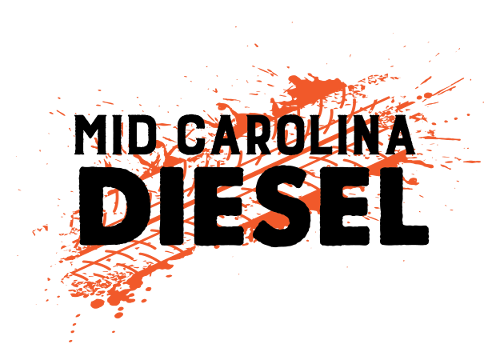 Our affordable, reliable diesel mechanical repair services help you get back on the road fast. We offer 24-hour roadside service for those unexpected situations. “Excellent company! Great people to do business with! Top notch place. We wouldn’t go anywhere else! Thanks Jerry Prader for all the amazing work you do for us!!!!!!!!!!!!!! “Our trucks endure endless abuse from student drivers. Gear grinding, clutch dumping, brake stabbing and much more. We bring more than 25 years of experience in diesel mechanics, trailer repair, troubleshooting, diagnostics, fabricating, welding, and more to the table. Our focus is on being your one-stop shop for all your truck and trailer repair and maintenance needs. We keep our rates fair and competitive, so there’s never any question about where you’ll bring your truck for repair. Mocksville, Yadkinville, Clemmons, Winston-Salem, Advance, Lexington, Statesville, Cool Springs, Cleveland, Harmony, Kernersville, and surrounding area.